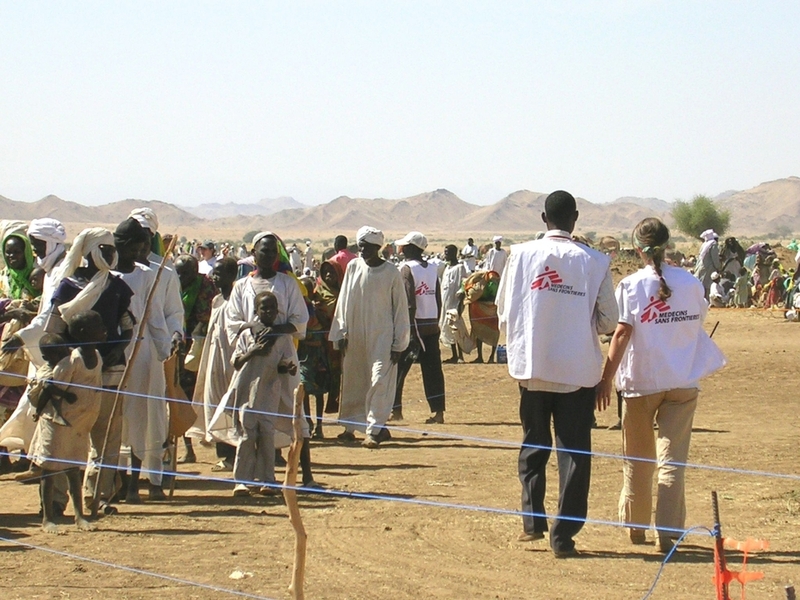 In 2008, fulfilling the aspiration of half a decade, I undertook my first assignment with Médecins Sans Frontières/Doctors Without Borders (MSF). I hadn’t just been wasting my time in the five years since I’d first decided to work for this inspirational organisation – I had thrown myself into A&E jobs, taken courses in expedition and tropical medicine, and spent time overseas with Raleigh International. Pre-assignment I was flown to Barcelona for 10 days of intense preparatory training. In short, I was theoretically well-prepared for life with MSF, but one of the lessons of humanitarian work is that you can never be fully prepared for the reality of it. And one of the clichés is that you never forget your first time. My first assignment in Darfur, Sudan, was tense, hot and complicated. The ongoing conflict between rebel groups and government-backed militias caused us many stressful moments, but conflicts between local traditional values and basic human rights could be almost as challenging. Our family planning services were extremely controversial to some (mostly male) elements of Darfurian society, who felt that the oral contraceptive pill should only ever be prescribed to a woman after obtaining her husband’s consent. A child is vaccinated against measles during a mass vaccination campaign in Kebkabiya, North Darfur, in 2004. By contrast, we had major concerns about the safety – let alone the effectiveness – of a local traditional healing practice that involved the ritual cutting of children’s skin and smearing dirt into the wounds. Finding the best balance between defending our principles and the rights of the vulnerable, while not alienating the community – which could have compromised our presence in the area – was a medico-ethical high-wire act which I learned a lot from taking part in. Some years after returning from Darfur, and by now working in public health, I was asked to develop a simulation game based upon my experience for a global health conference at UCL. At the time, I thought this was quite a daunting request and came close to turning it down. Fortunately, at work I had recently taken part in a multi-agency major incident exercise which simulated a pandemic influenza outbreak. I was impressed by how immersive this was, and how different professional groups were forced to share information and collaborate to effectively tackle the challenge presented. Using this exercise as a model, creating the (semi-fictionalised) context of a large displaced persons camp in Darfur and filling in detail from my own and other colleagues’ experiences, I was able to build up the required simulation. I ran it with a group of about 20 at UCL and it was well-received. Since then I have had the chance to extend and refine the simulation based on participant feedback, and am very happy with the way it has developed. You might find yourself playing the role of an MSF surgeon, allocating scarce medical resources to best deal with the war wounded and everyday surgical cases being brought into your clinic. Or maybe you’ll be working in the vital field of water and sanitation, ensuring uncontaminated drinking water and safe disposal of waste. Or perhaps you’ll be one of the coordination team, scanning security briefings and intelligence to try and assess what areas are safe for your teams to operate in. Whatever your role, you will need to cooperate with other teams, other NGOs, the local population and military forces to meet the health needs of displaced people. This simulation is a distillation of my own MSF training plus the experience I have gained since then. You could think of it as my own answer to the question “What do I wish I had known before becoming an aid worker?”. It is also a lot of fun to take part in, and the debriefing always throws up important discussions of accountability, cultural competence and humanitarian effectiveness. It will next be run from 14:00-16:45 on Wednesday 6 September, on Day 3 of the Medact ‘Health Through Peace’ conference in York. As well as my simulation, other MSF staff will take part in the conference. On Day 2, Tuesday 5 September, the head of MSF UK’s Programmes Unit and MSF’s Legal Director will be discussing counter-terrorism and the erosion of ethics and International Humanitarian Law. And Medact are offering discounted tickets for MSF staff (past and present), donors as well as Friends of MSF members.